Royer Corporation is plastic injected mold manufacturer operating out of a 60,000 sq. foot building in southern Indiana. The large rubber roof had several leaks but most of the roof was still intact and it still has service life remaining. 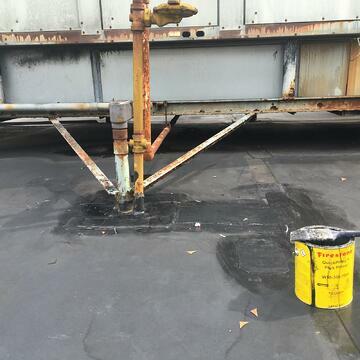 The goal was to eliminate the existing leaks and extend the life of the rubber roof through preventative maintenance. 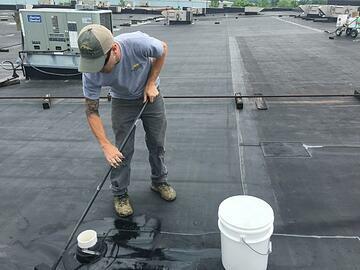 The first visit to a new flat roof repair project is usually the easiest, after all we are picking low hanging fruit that comes in the form of easy to find holes, punctures, cuts, bad seams, and missing sealants. 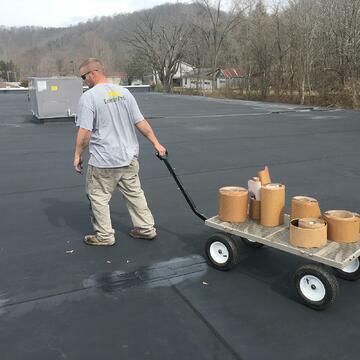 When large flat roofs haven't had maintenance for some time there are usually a lot of this type of repairs day one. After several rain showers we knew we still had more work to do as several of the leaks in the building were fixed but there were also several that were not fixed and continued to leak. 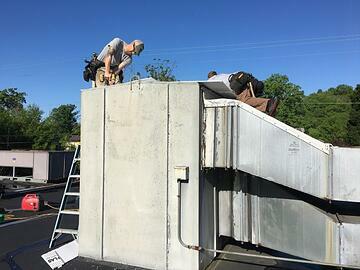 We fined tuned our focus and began to search for more specific leaks in and around large HVAC units on the roof. 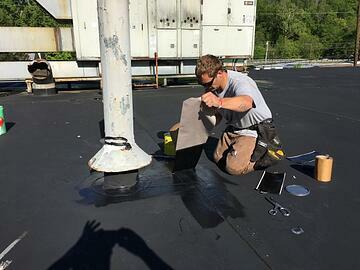 After several hours of searching we were able to find and fix many more leaks on the rubber roof. Over the next couple of weeks, we watched the building during rains and were in contact with the maintenance staff as to the remaining leaks. During a heavy rain storm, we were fortunate to be near Royer Corporation and were able to walk the building and pin point remaining leaks. We found the remaining leaks to be coming in from duct work that was rusted and no longer in use. During our third trip to Royer, we focused in on wrapping the top of duct work to eliminate the rest of the leaks. It worked, we were able to knock out the rest of the leaks and Royer Corporation, 60,000 sq. 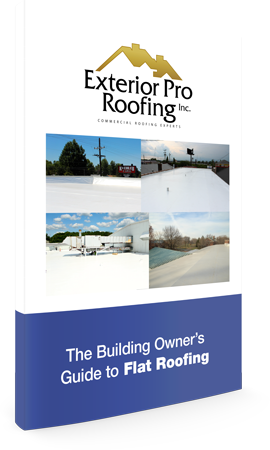 ft. of rubber roofing is dry. Persistence pays off when chasing flat roof leaks.